I’ve often made reference to self-directed IRAs, and the fact that you can use them to invest in property overseas… as well as for many other non-traditional investments. I’ve even compared them to self-directed 401Ks. This is a popular and important topic, and many of you have written with questions about self-directed IRAs. It’s one of our most frequently asked-about topics. Until now, we’ve never really covered the self-directed IRA in detail… what your options are and how to set things up. If you’d like to unleash the investment potential of your IRA, Dave Drummond’s article below is a must-read. I’ll let Dave take it from here. At the end of 2011, U.S. citizens had approximately US$5.5 trillion in Individual Retirement Accounts (IRA) with just over 40% of the population participating. If you add deferred contribution plans, including 401Ks, the dollar amount climbs to around US$9.7 trillion. However, the number of individuals who have taken advantage of what are known as self-directed IRAs (SDIRAs) is less than 2%. Only 2% of the population with retirement accounts has identified one of the most powerful vehicles to gain control over their retirement savings. Many people have control over their investment selections, and others have accounts where they can purchase their own stocks, bonds, mutual funds, ETFs, etc. These accounts—offered by many mainstream financial institutions like Schwab or Fidelity—are somewhat like SDIRAs, but are limited to purchasing only standard financial instruments. Only a few people have taken advantage of the ability to invest in non-traditional products such as a condominium, a private placement, precious metals, or a parcel of property. And even fewer have done this outside the borders of the United States. These are the true self-directed IRA owners. All IRAs, by law, require a custodian. And the first step in taking complete control of your IRA is to find a U.S. custodian that will allow you to invest in alternative opportunities. Most of the familiar custodians, Fidelity Investments, Franklin Templeton, Scottrade, ETrade, etc., will only allow you to invest through the standard investment vehicles that they offer. If you were to call Fidelity, for example, and ask to wire money to Belize in order to purchase a condo, you’re sure to be refused. To invest in alternative investments you need to find a custodian that will allow you to make such choices. 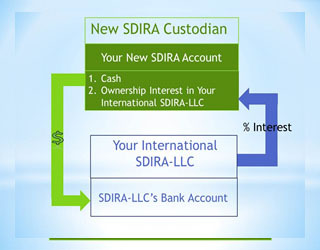 The good news is that there are a number of custodians who specialize in creating SDIRA accounts. These custodians will allow you to direct the money towards condominiums, rental properties, physical gold, or other alternative opportunities. The key to investment freedom starts with this cooperative custodian. Editor’s Note: Many financial service practitioners will help you set up a self-directed IRA and any associated entities you need to manage it or take it offshore. Most readers employ such a person, as this process is difficult for the uninitiated to do on their own. These professionals are not IRA custodians. The “custodian” is a bank, trust company, or similar entity. Note that these custodians will typically charge fees for this type of account. There is usually a small setup fee, an annual fee for the IRA accounts, and either an annual fee per investment or an annual fee based on the value of the IRA account. 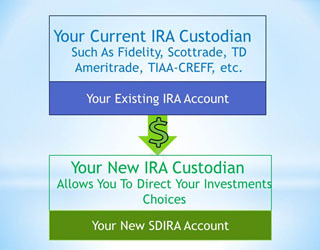 Once you have identified the new custodian and opened an SDIRA account with them, you will be able to roll over your existing IRA (or 401k) funds. This is typically done by liquidating the funds you wish to allocate towards alternative investments and then having those funds sent directly to your new account. Once the funds are in the new custodial account you are ready to implement SDIRA Strategy One: investing directly from your IRA. This strategy is as simple as it sounds. You will instruct your new IRA custodian to make the desired purchase (initiate a wire transfer) directly from the person or entity selling you the investment. This investment could be within the United States or, for more diversity in your portfolio, the investment could be outside the country. Using this strategy, each investment must be approved by your custodian. Why? It’s the custodian’s responsibility to ensure that your investment selections are in the best interest of your IRA. Unlike a traditional custodian—who wouldn’t even entertain the idea of purchasing a condo or rental home—your new cooperative custodian will give it serious thought and, in most cases, approve the investment for purchase. However, it is important to realize that the custodian has the ultimate authority over whether or not an investment can be purchased. Direct investing from your IRA is relatively simple. 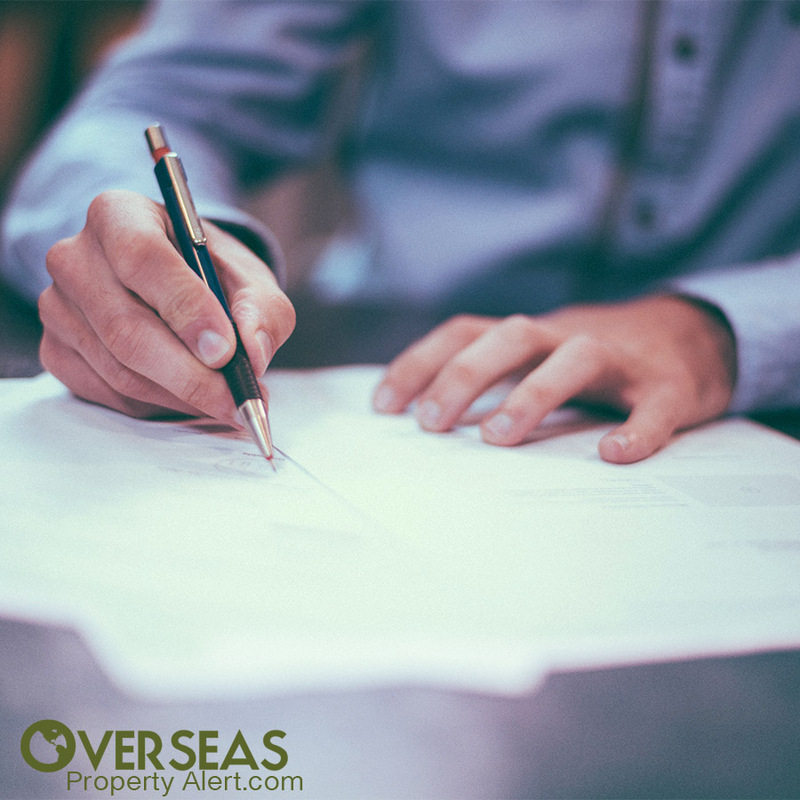 Time delays would include waiting for the documents to be executed on your behalf and having to explain to a seller who is unfamiliar with this purchasing process who the custodian is and why they are signing the document. In practice, this is the simplest and, typically, the most cost effective way to purchase alternative investments utilizing funds from your IRA. The custodian is the final decision maker on whether an investment is purchasable. Your funds are still held in the custodial account, under control of the custodian. Administrative costs can mount based on the number of assets you purchase from your custodial account. This strategy also requires a cooperative custodian for implementation. But in addition, you’ll need a corporate structure known as a Limited Liability Company (LLC) that will transact business on behalf of your SDIRA. Let’s take a step back and explain that the LLC consists of a member or members (who are the actual owners of the company) and a manager. In the case of an IRA/LLC, the company will typically be a single-member LLC, with the IRA being that member. The LLC will normally have a single manager, who is the beneficiary owner of the IRA (that’s you). As well, the company is guided by an operating agreement that defines how the business will operate, the role of the members and managers, and how the company will transact business. It also dictates what type of business the company can do and—more importantly in the case of an IRA’s LLC—what the company cannot do (more on this later). 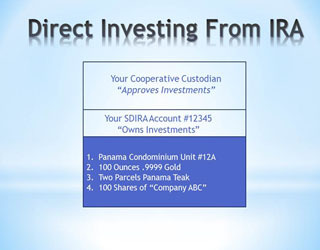 Just as we did in Strategy One, we will need to identify a cooperative custodian, open a new IRA account with them, and transfer the funds from our existing IRA/401k, as shown above. However, using the new IRA to purchase investments directly, you will actually invest in your own LLC. This requires that your LLC be created and a bank account opened for it. Once the company is established and the bank account opened, your new custodian will fund the IRA’s LLC by wiring funds from your new IRA account directly to the LLC’s new bank account. So, simultaneously with identifying and selecting the cooperative custodian, opening the new SDIRA, and rolling over funds, you will work with a registered agent to setup the corresponding LLC and open the LLC’s bank account. The establishment of your new self-directed IRA and its LLC need to be coordinated, as the corporate documents and operating agreement will require information from your IRA custodian. If you are planning to invest funds internationally, then it is highly recommended that you establish an international LLC as your corporate structure. More on this later. You were made the manager of the IRA’s LLC. You were given signature authority over the LLC’s bank account. Now that your new IRA has been opened, and your LLC has been created—and capitalized with funds wired from your IRA—you are ready to begin making investments. And, as you were named the manager of the LLC (and the signatory on the bank account) you have the final say on what investments you will purchase; you do not have to get permission from the IRA custodian. Many savvy investors utilize an international LLC because it adds a level of protection against demands that may be levied on the custodian… things like lawsuits and judgements. As the funds are not in the custodian’s account (they are in your international LLC’s bank account) the custodian cannot appropriate them in any manner. In fact, as the LLC is in an international jurisdiction, the custodian would likely have to get a court order in that jurisdiction to enforce any mandates. It is important to understand that your new SDIRA can also hold standard investment vehicles such as stocks, bonds, mutual funds, and ETFs. However, depending on the fees charged by the cooperative custodian, you may find it more practical to leave these investments to a regular, standard IRA account. Along with the power and freedom this strategy provides comes more personal responsibility. You will be responsible for valuing the LLC, for keeping accounting records, and ensuring you don’t break the two big rules of Prohibited Transactions… typically referred to as Self-Dealing and Prohibited Investments. Here are some examples of what you need to be aware of when using an IRA/LLC for alternative investing. Editor’s Note: The rules for prohibited transactions, prohibited investments, and disqualified persons apply to any IRA or 401k. Prohibited transactions are actions that may circumvent the intended use of an IRA… to grow funds for your future retirement. Breaking this rule is known as “self-dealing” and can result in significant penalties. The basic principle is that neither you, nor any disqualified person, can participate in an action where you gain direct use or benefit as a result of that action. Lending money or providing goods or services to a disqualified person. Disqualified persons are defined as the IRA account holder, his or her spouse, lineal descendants (mom, dad, sons, daughters, grandparents, grandchildren), account fiduciaries, trustees, investment managers and advisors, and any corporate entity in which the account holder has at least a 50% ownership interest. In general, stay away from any type of activity that results in yourself or a disqualified person personally gaining by using IRA funds now. This is a situation where it is much better to be safe than sorry. See IRS Publication 590 for a complete list of prohibited investments. Annual IRA/LLC valuation: All legitimate expenses are paid by the LLC, and all generated income and proceeds from sales are paid into the LLC’s bank account. These actions will increase or decrease the value of your LLC which will have to be reported to your IRA custodian on an annual basis. The custodian will then report the new value to the IRS, just as your old custodian would report the value of the contents of your regular IRA. Accounting records: It is highly recommended (and usually required) that you keep accounting records for the LLC. This can be a simple accounting journal or the use of software such as QuickBooks… or you can hire an accountant. As with any business, it makes practical sense to keep an eye on how your business is progressing. Re-capitalization: In most instances, and upon approval of the custodian, you can contribute more funds to the IRA and add more capital to its LLC. Of course, these contributions to your IRA are limited by IRS regulations, but the mechanism to continue funding the LLC is in place. Distributions: You should never take money from the LLC and put it directly into your pocket or your personal bank account. Instead, you should wire money back to the custodian and into your IRA, and then request an IRA distribution from the custodian. Once the custodian sends you the requested distribution, those funds are now subject to whatever tax may be due. The ability to direct your IRA funds can provide avenues to diversify funds into alternative investment classes such as real estate, agriculture, precious metals, strategic metals, and a variety of other opportunities. However, with this freedom to choose comes responsibility to follow the rules and to play a more active role in managing your money. With the help of a cooperative custodian you can invest directly into investments… or you can invest in an LLC owned by your IRA. With the first strategy the custodian is the final decision maker… with the second, you make all the calls. The best of these strategies is determined by the value of the funds being allocated to alternative opportunities… the amount of direct control you desire… the number of investments purchased… and your concerns over governmental involvement in future IRA legislation. The ability to self-direct IRAs is still within your grasp, however, there are signs that regulators will limit your ability to do so in the future. It is time for you to take action, while you still have the opportunity to legally protect your IRA, and to take control and direct your retirement funds as you wish. When regulatory changes come, they will come swiftly. Best to make your move now. A resident of Belize since 2008, Dave Drummond is currently working towards citizenship in Belize. Dave has real-world experience, combined with a thorough knowledge of offshore structures, retirement vehicles, financial services, and alternative-investment products. 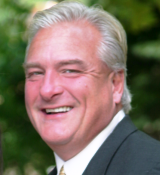 If you have a question on self-directed IRAs, you can write to Dave Drummond here. Your advice would be easier to process if you took some writing classes. I have 8-year-old Panamanian students who understand English grammar and sentence structure better than your articles display. Were you saying temperatures get to 90 degrees with a lot of humidity during summer in Mazatlán? Also, I’ve noticed that Kathleen Peddicord’s publication lists Mexico as third after Panama and Ecuador. What criteria were used to establish this list? I’m mindful of criteria used as I’m looking for unbiased traveler-focused criteria, rather than being steered to certain areas due to developer affiliations, which was a concern with another investment property group I’m familiar with. I’ll take the easy one first: Yes, temperatures in Mazatlán start to hit 90° occasionally in May (32°C), although the average daily high doesn’t hit 90° until July. I find the temperature OK at this time of year (late-May), with a prevailing sea breeze to keep things comfortable. I’m told by the locals, however, that it gets very uncomfortable due to humidity in August and September. I’ll be somewhere in the cool mountains by then… like Medellín. I’d like to tell you that these ratings are totally unbiased… but they’re not. In fact, they’re totally biased, depending on our personal experience in each country. Frankly, Kathleen recommends (and owns property in) some really off-the-wall places that I’m not interested in. But my “best-of” lists include places that she would love to avoid. In the middle, there are a lot of places that everyone agrees are excellent choices. The great part about our editorial policy is that we each get to make our own case, based on our own experience. It’s a good policy for readers, but it doesn’t always make for consistent list-making between writers. Follow the link to see my own personal case for Mexico. It’s great to be reading your remarks about living and investing in the Americas. The last time I engaged in question and answer with you was some 6-8 years ago, when my wife and I were interested in Panama, Ecuador and Mexico and you, Lief, and Kathleen were with another publication at the time. I am widowed now, and my interests in living and investing have changed considerably. I just joined Live and Invest Overseas and have a special interest in Colombia, Mexico and the DR. Any pointers in that direction would be greatly appreciated. It’s great to be reading sensible articles from old friends. Hope to see you soon at one of your conferences. The only thing better than “reading sensible articles from old friends” is writing sensible articles for old friends. It’s good to have you back on board, Jim. Mexico offers just about everything that you can find anywhere, so it’s hard to categorize. But I’d look hard at the convenience of getting there, the easy residency, and the ability to live there part-time without residency. It’s the easiest transition for Americans and Canadians. The DR is about the last affordable place to retire or invest in the Caribbean. I’d look there for a beach-oriented lifestyle in the Caribbean. As to Colombia, I’d recommend Medellín (I own a home there). Medellín offers an upscale, first-world, city lifestyle at an extremely low cost right now. It’s also got the best weather I’ve come across anywhere. For comfortable city living, this is easily my pick. If you’ve got the time, I’d say a trip is in order… I’m sure something will jump out at you, and you’ll know the right place when you get there.